Fittings reductions 90° male/male There are 17 products. Fiting 90° Reducer AN4 to 1/8 NPT male/male. High Quality, Anodised Aluminium Alloy. 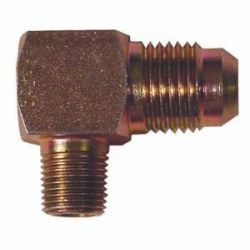 Fiting 90° Reducer AN4 to 1/4 NPT male/male. High Quality, Anodised Aluminium Alloy. Fiting 90° Reducer AN6 to 1/8 NPT male/male. High Quality, Anodised Aluminium Alloy. Fiting 90° Reducer AN6 to 3/8 NPT male/male. High Quality, Anodised Aluminium Alloy. 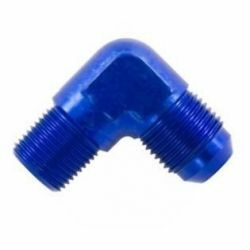 Fiting 90° Reducer AN6 to 1/2 NPT male/male. High Quality, Anodised Aluminium Alloy. Fiting 90° Reducer AN6 to 1/4 NPT male/male. High Quality, Anodised Aluminium Alloy. Fiting 90° Reducer AN8 to 1/4 NPT male/male. High Quality, Anodised Aluminium Alloy.